A bicyclist was struck by a car in Boston on Wednesday afternoon. The collision took place around 5:45 pm on Dorcester Avenue within the city limits. The collision unfortunately involved injuries to the bicyclist. Officers with the Boston Police Department as well as local emergency medical technicians rushed to the scene to administer medical treatment. At this time, we have no indication that the bicyclist’s injuries are life-threatening. 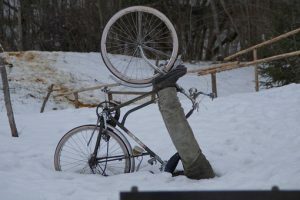 There is no specific detail on how the accident occurred or an indication as to whether the bicyclist or the vehicle operator might be at fault for the collision. Additional details will be provided as they are available. The Boston Police worked the accident scene and cleared the roadway. The bicyclist has not been identified.